If you’ve ever had any kind of credit, such as a credit card or a loan, you have a credit score. Simply put, a credit score is a three-digit statistical representation of your creditworthiness. 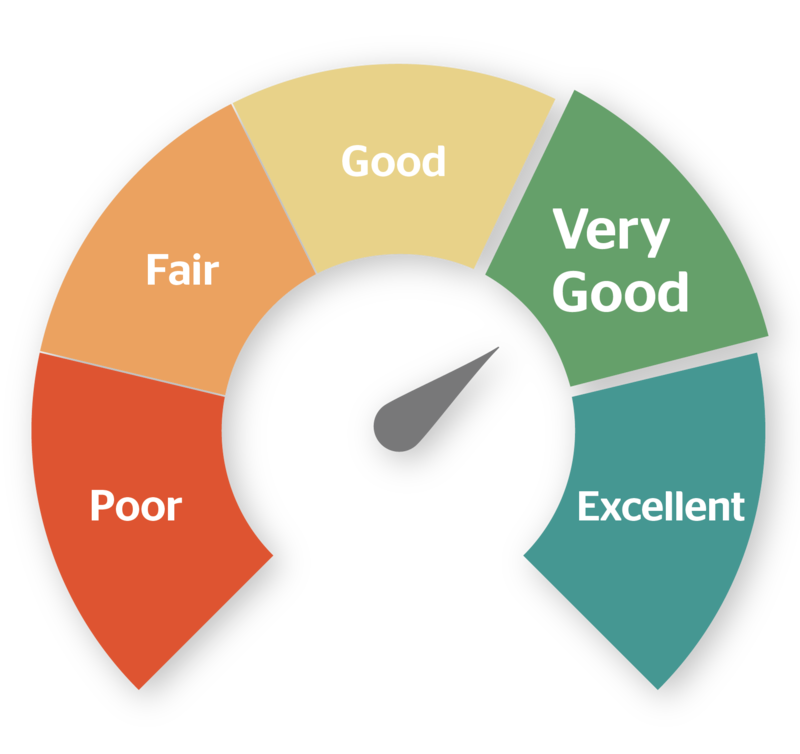 Potential lenders such as banks, insurance companies, mortgage brokers, and landlords use credit scores to evaluate your ability to repay your debts and gauge your overall financial trustworthiness. Canada’s two major credit reporting agencies, Equifax and TransUnion, calculate credit scores on a scale from 300 to 900. The higher your number, the better—the lower it is, the riskier you are in the eyes of lenders. Who assigns my credit score? Credit bureaus collect, store and share information from subscribers about how you use—and repay—credit. Subscribers who report to credit agencies include banks, mobile phone and internet providers, auto lenders, collection agencies, and other creditors. This information is used to generate a credit report, which details your activities over the last six years: The types of credit you have, what your limits are, how much you owe on each account, and whether you make payments on time. All of this data is translated into your credit score. Payment history (35%): This is the most important component of your credit score because it shows how you manage your finances and whether you pay your bills on time and in full. It includes any bankruptcies, foreclosures, wage garnishments, liens, and delinquencies. The amount of time information stays on your file differs based on which province or territory you live in, but negative information generally remains on your file for seven years. Amount owed (30%): How much money you owe on your credit accounts and the number of accounts you have that carry balances. Carrying large balances, especially if those balances are close to your limit, can signal to creditors that you aren’t in control of your debt. Length of credit history (15%): This isn’t simply the number of years since you started using credit, but how long each of your credit accounts have been established, the ages of your oldest and newest accounts, the average age of all accounts, and how recently each one was used. Types of credit (10%): It’s considered healthy to have a mix of three types of credit: revolving (accounts with a different payment each month depending on how much credit is utilized but doesn’t need to be paid in full, such as credit cards), installment (accounts with fixed payments for a fixed period of time, such as mortgages and student loans), and open (a hybrid—the payment is not the same each month but does need to be paid in full, such as utility accounts). New credit (10%): The number of recent requests for new credit or newly opened accounts in proportion to older ones. When you apply for most types of credit, a “hard inquiry” (or “hard pull”) will appear on your credit report due to lenders requesting a copy. If you don’t have a long credit history, or apply for lot of credit in a short amount of time, it can negatively affect your score. Requesting your own credit report counts as a “soft inquiry” and will not affect your score. It’s important to note that one person has more than one credit score—a subscriber may report information to one agency but not the other, or may update one agency with your current information less frequently than the other. The agencies themselves also use different methodologies and software to calculate their scores. Because of this, you should check your score with both bureaus. Your respective scores, however, should fall within the same range—a significant discrepancy can indicate an error. It’s recommended that you check your credit report and score at least once a year. Both Equifax and TransUnion will mail you a free copy of your credit report when you order it via telephone or mail/fax in a request form with photocopies of two pieces of identification. However, the free report will not include your credit score. To find out your score, and to instantly access your credit report online, you’ll have to pay a fee. Equifax and TransUnion offer one-off access to your report and score and subscription services to monitor your credit. Think of credit as a circle, not a line—it requires constant diligence. If you’ve established good credit, you need to be vigilant to keep it stable. If your score dismal, you should be working methodically to rehabilitate it.